Get the Magnum Panther SZ 8.0 today. 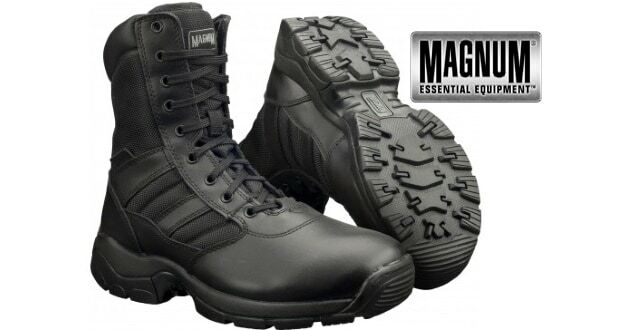 Brand New pair of Magnum Panther 8.0 Patrol Boots with a side zip. A great product for comfortable footwear on those long foot patrols. The boot comes with a zip design allowing you to slip the boot on and off when required. It is made of leather and Nylon upper with a high traction slip resistant sole. This pair of boots is now on offer on ebay for £62.99 and FREE delivery charge. Do you have a pair of these boots? Let us know what you think in the comments section.